of abuse, poor health or other occurrence in their lives. 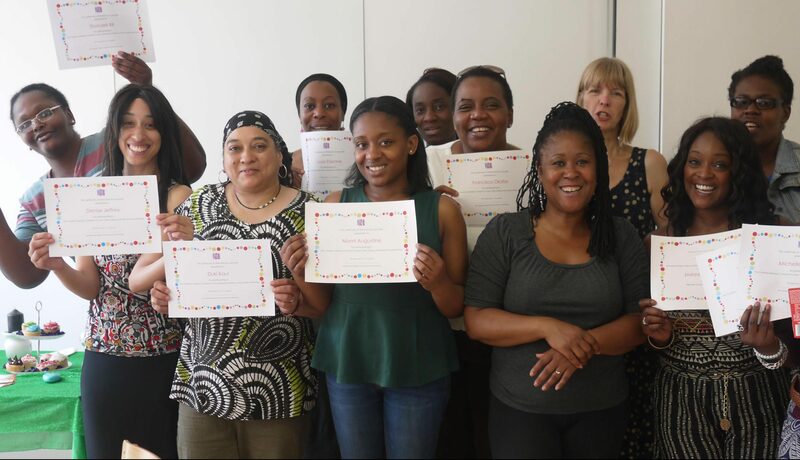 end of our workshops, we take people through creative business workshops giving them the opportunity to taking the first steps to starting their own businesses. We repeat part of our lessons if needed and provided extra ‘surgery’ type sessions which indeed support them as and when it was necessary to do so. Students gain not only skilled based knowledge, but also confidence within which to use their skills in the workplace, interviews or in their day to day lives. This will also give them to skills to go onto further college courses; potential employment or self-employment. Learning how to share knowledge and information; making social networks; making mistakes and learning from them. As tutors, we understand that our learners have various learning styles – visual and/or kinaesthetic auditory and as a result, we vary our teaching methods to facilitate this. Our teaching methods include; demonstrations; observation; positive feedback in one to one sessions; as well as within the classroom setting and support sessions after class; orientation around the materials and equipment used for the lessons; students demonstrations and classroom discussions. Students learn how to use a mixture of hand and machine processes. With our baking classes, we run all of the baking classes first and then students bring in a cake each week of the decorating class. They learn how to bake from a basic sponge cake to a rich chocolate or fruit/rum cake. They learn how to experiment by adding or subtracting various ingredients. We use sugar paste/fondant/ganache to come up with the finished professional looking product, ready to sell. Learners have the opportunity to share their own hair journeys from childhood with each other. We teach learners to understand their hair type; and gain knowledge on how to care for natural hair including washing; conditioning and moisturising using natural and organic ingredients. Using the right combs/brushes and learning some basic braiding and cornrow techniques. Also, how to avoid the temptation to use chemical straighteners in your child’s hair. We discuss how important it is to eat a wellbalanced diet including plenty of water and various vitamins and minerals – especially those known for their positive affect on hair and skin. *Several hints and tips are given on the techniques used for looking after African/Caribbean hair. These workshops were created due to so many students wanting to fix their broken zips; sew buttons; use patches over their jeans; extend their curtains; fix their blinds etc. Students can revamp their old or damaged clothes or household items. 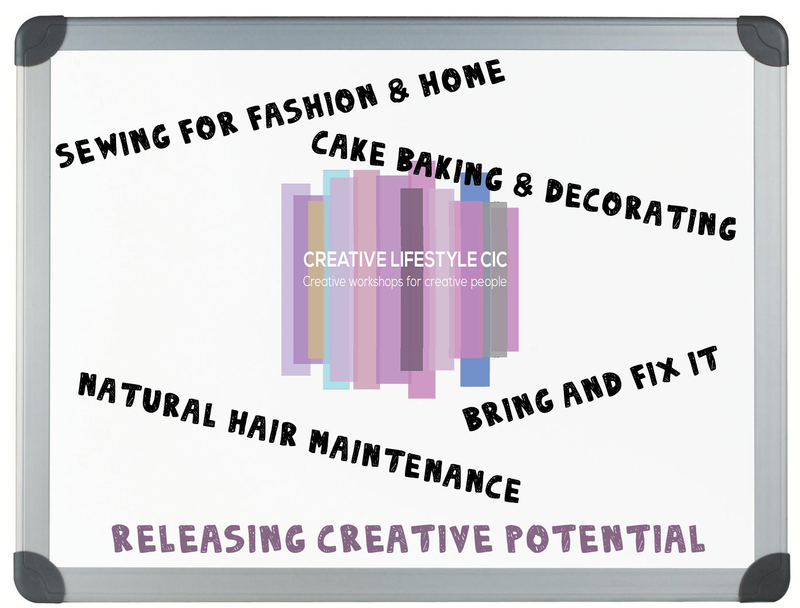 We run these workshops in the community as well as in Children’s Centres in Hackney and they are always very popular. Students create some really great looking practical items and due to it being a family event, parents and children get to have fun together as well.